It all started when I searched for a new show to watch & stumbled on Hustle, a Viceland docuseries about entrepreneurship. Business mogul, John Henry, helps small business owners take their companies to the next level. On episode one, I completely fell in love with Trade St Jam Co. The founder and CEO, Ashley Rouse, desired to make more profit from her jams but wasnt sure how. I'll let you watch the episode to see what happened but I was left inspired so I bought a jam. Lets get into this pairing. First of all, this isnt your grandma’s smuckers. These are artisanal jams straight outa Brooklyn. 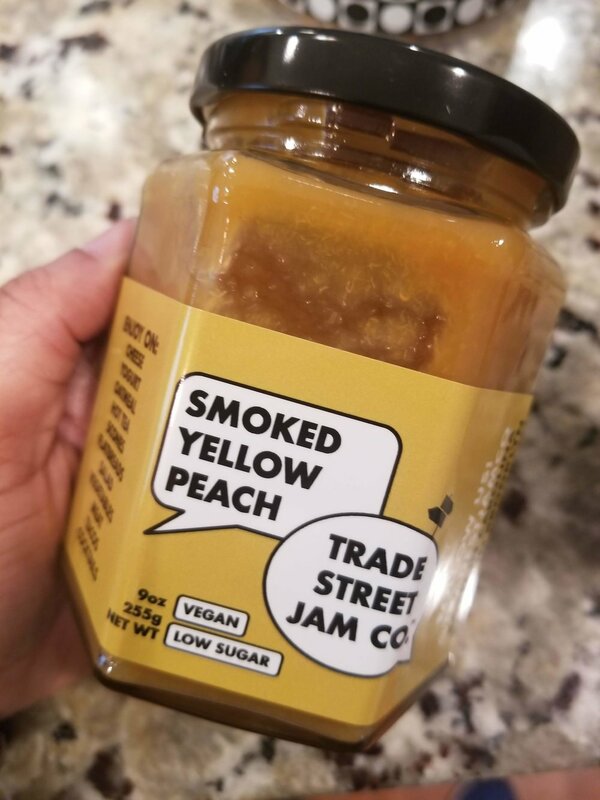 I ordered Ashley’s Smoked Yellow Peach jam from Amazon and I couldnt wait for it to arrive. When I opened the jar, I immediately got the smoke on the nose and right behind it was ripe peach. There was such a sweet and savory balance between the two. I couldn’t stop tasting it. The first thing I had to do was find a wine to pair it with. 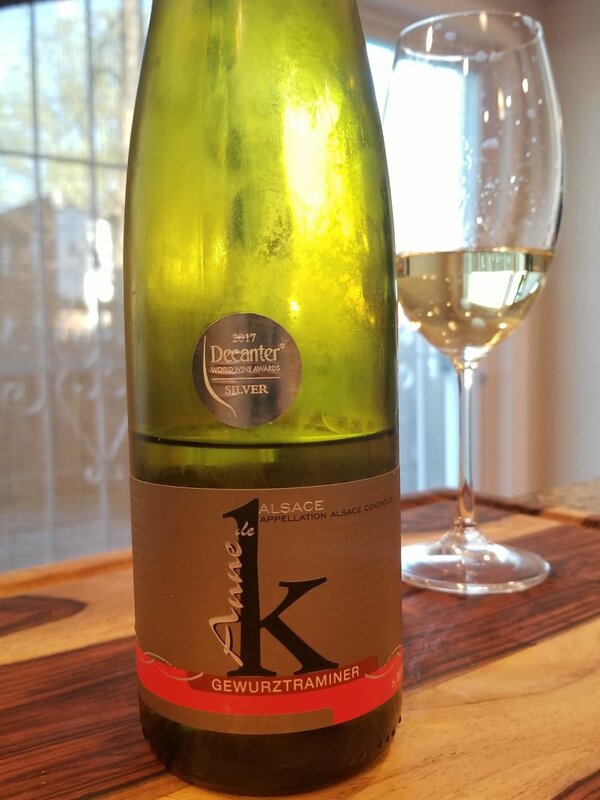 I chose an Alsatian Gewürtraminer for a few reasons. I needed a wine with enough body and complexity to stand up to the jam. My plan was to make a sauce with the jam as the base and I wanted to add some heat. Gewürtraminer is so layered with florals, succulent lychee and spice, it pairs very well with sweet & savory combinations. Me & Gewürtraminer have a love hate relationship. Sometimes I love it because its balanced with spice and other times it cloying & boring. Anne de K finds a nice job of combining floral, fruit and spice. On the nose, I lychee, pineapple, gummy bears and white pepper. On the palate, there is peach, mango, ripe lemon with a spicy finish. I seasoned the wings with salt & pepper and then doused with the sauce. I based them about 3 times while they roasted for 45 minutes at 350°. The sauce on the wings was an explosion of flavors. Tender yet crispy with that subtle peach, the tart from the pickle juice & heat on the backend from the cayenne. Watch out! 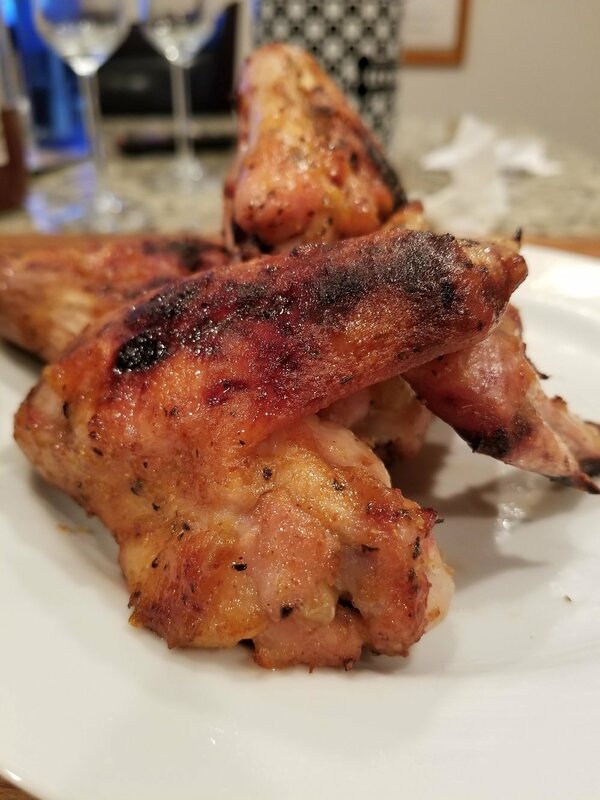 The next time I make this, the wings will be on the grill! The wine was simply a complement. Matching all the flavors & spices. A beautiful pairing perfect for Spring. Cheers to Trade St Jam Co.